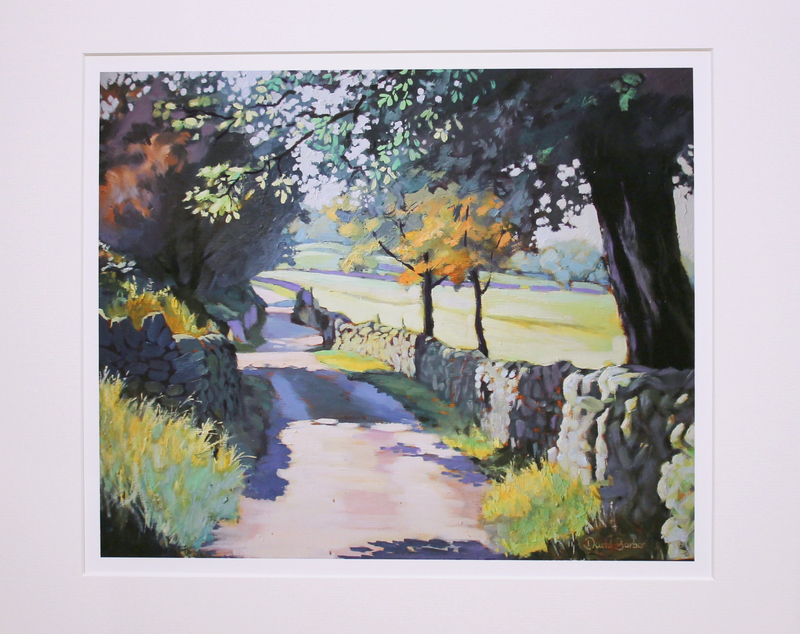 This print is one of a limited edition of 100 prints made from my original oil painting of Gradbatch Lane. 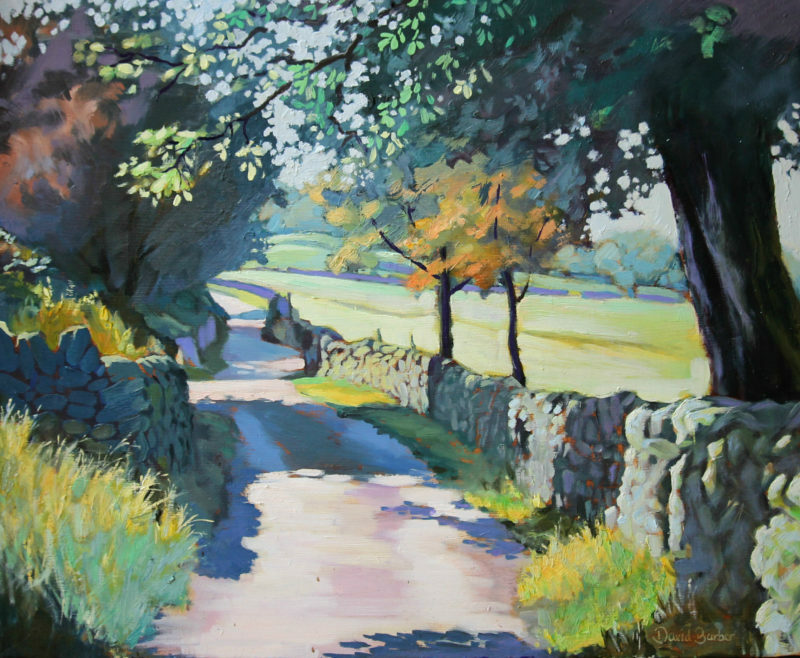 This quiet little lane is situated in a hidden valley behind a rocky outcrop known as ‘The Roaches’ in the English Peak District. It leads to a very narrow rocky gorge known as Lud’s Church. I often visit this area as it’s only a short distance from my house. On this particular day the light cast beautiful shadows across the lane and I immediately thought it would make a good painting. For your information: Lud’s Church is an immense natural cleft in the rock on the hillside above Gradbach, in a forest area known as the Black Forest. The feature has been formed by a landslip which has detached a large section of rock from the hillside, thus forming a cleft which is over 15 metres high in places and over 100 metres long, though usually only a couple of metres wide. Inside Lud’s Church Over the ages this place has offered shelter to all sorts of renegades and there is a tradition that Robin Hood used it. However, it is fairly certain that the Lollards (followers of John Wycliffe, an early church reformer, who were condemned as heretics) used it as a place of worship in the early 15th century, giving the place its current name. The church also acted as the model for the ‘Green Chapel’ in the classic mediaeval poem ‘Sir Gawain and the Green Knight’, and the aura of medieval romance still seems to stick to it. The print is made on the finest quality hahnemuehle photo rag paper and is mounted and backed. each print is signed by me and has the edition number written on. The printed image is 36cm x 30cm, the mounted image supplied is 50cm x 40cm. I love good paintings. 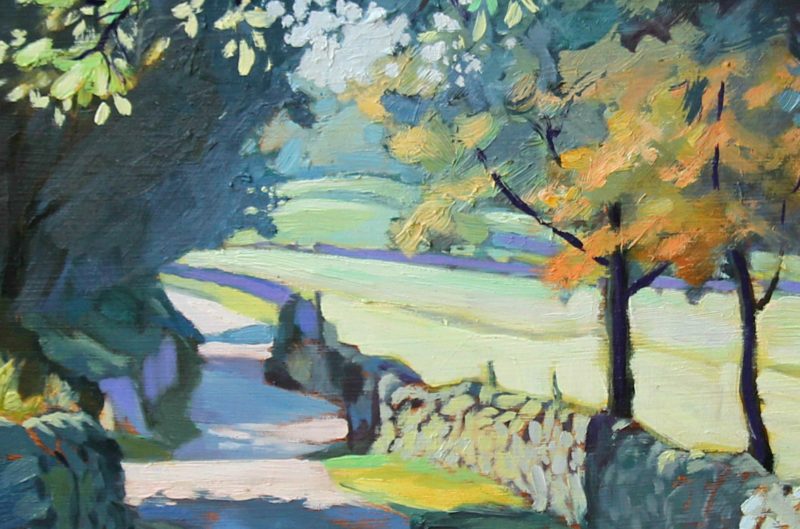 Paintings that can hold your attention with their rich colours or carefully placed details. Paintings that don't rely on bold tricks, but those that seem to be filled with the care, love and patience that the artist gave to them. This is what I aim for when I make my art. I want owners of my work to feel as though they've bought a jewel that they can treasure. I have a B.A. Hons degree in art and worked for many years as an illustrator and graphic designer (examples of this can be viewed by following the links at the bottom of this page). My work is held in several galleries and until now these have been my only outlet. Selling online is a new venture for me and is also the reason for such a limited selection of work. If you'd like to see a wider variety of my recent work please take a look at my website. 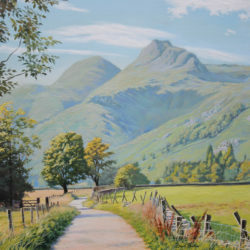 A large proportion of my early working life was spent in the magnificent landscapes of the Cumbrian and Peak national parks. From these early days I developed a real love for the peace and beauty of these places. My paintings are produced in response to frequent walks through these wild and often bleak open spaces. My paintings are an attempt to capture some of the light and freshness of nature through a thoughtful use of colour and tone. The paintings are made using oil paint on canvas. The early stages of a painting progress quickly with rapid brush strokes applied very loosely to the canvas to sketch in the major features of the composition. A tonal under painting is built upon these initial marks and this is followed by the application of the major colours combinations. Final adjustments to colours and compositional elements are then made to complete the painting. Wherever appropriate I try to retain as much of the initial 'sketch' phase in the final work, as it's often this stage that gives the paintings their vibrancy. 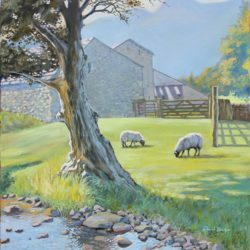 As well as the original paintings, my work is also available in the form of signed, limited edition giclée prints, usually produced in editions of 200. These prints are made using lightfast pigments on archival paper. If you'd like to commission a painting please contact me.